Education: Earned a bachelor’s degree in International Studies from Whitworth College in 1985. Earned law degree from the Univeristy of Washington in 1991. Political experience: Incumbent city council member for second district, appointed in February 2016. Ran unsuccessfully for Spokane County prosecutor in November 2014. Co-founder of Spokane Smart Justice Campaign. Work experience: Private practice attorney in Spokane with Paukert & Troppmann, PLLC, specializing in civil litigation. Previously served as executive director of the Center for Justice during the Otto Zehm proceedings, 2004-2010. Partner in Bellingham litigation firm, 1991-2004. Work experience: Founder and president of Dunau Associates, a communications consulting firm that has operated in Spokane for 28 years after Dunau moved from Los Angeles. Executive director of the Spokane River Forum, a nonprofit promoting the health of the river system. The political divide fueling the race for south Spokane’s City Council seat can be seen in the railroad tracks running through downtown. Breean Beggs, a private practice attorney appointed to the panel in 2016 after a failed run for Spokane County prosecutor two years prior, is being challenged by first-time candidate Andy Dunau. Dunau charges that Beggs’ involvement in drafting an initiative that would fine certain coal and oil trains through town reflects the progressive leanings that dominate the council. Beggs said the initiative is an example of his work to bring the concerns of his district to the forefront. At a recent candidate forum held by the Spokane Rotary Club, Dunau accused Beggs of belonging to a “superprogressive majority” on the council, which gave rise to the voter initiative that would levy a $261 fine on all coal and oil train cars traveling through downtown. “I think when you get into politics, of a 6-1 supermajority, the city deserves a vigorous debate on this subject,” Dunau said. Beggs countered with a legal defense of the initiative, and said his support was due to the concern about a possible fiery derailment downtown. Beggs said in an interview after the forum the idea of a supermajority on the council was untrue, and that policies the council pursued were much more moderate than the panel’s political opponents suggest. “We’re much closer to middle America than Pacific Coast America,” Beggs said. He pointed to the city’s sick and safe leave policy, which did not include as much paid time off as a statewide initiative that voters approved last year, as well as the city’s efforts on criminal justice reforms. Dunau calls himself a fiscal conservative and is pushing center in a district that rejected Tony Kiepe, a precinct committee officer for the Republican Party, in the primary. The district includes Spokane’s South Hill, an area of town that skewed heavily toward Hillary Clinton in the 2016 presidential election and also gave large victories to Barack Obama in 2008 and 2012. The race between Beggs and Dunau is the only contest for Spokane City Council where the Spokane County Republican Party has not endorsed a candidate. Still, Dunau has earned the backing of at least one prominent Republican elected official: Sheriff Ozzie Knezovich. His primary efforts also were sponsored in part by Better Spokane, a political action committee founded earlier this year that claims support of business-friendly policies. The group paid for nearly $13,000 worth of online advertisements and mailings to support Dunau’s primary candidacy, according to the Washington Public Disclosure Commission. “Andy is a pro-business guy, and a reasonable moderate guy that fits the South Hill really well,” said Michael Cathcart, executive director of Better Spokane. Knezovich has come out strongly against Proposition 2, the initiative that would fine certain coal and oil trains traveling through downtown. Better Spokane is one of the top contributors to the campaign being run by the Committee to Protect Spokane’s Economy, another PAC formed to oppose the ballot initiative. “I think he would bring the focus back on the things we are facing, instead of jousting at every windmill and issue outside of Spokane,” said Knezovich of Dunau. Beggs defended his work on the proposition and said he’d vote for it, based on his legal opinion the initiative fits within federal law and is backed by members of the union representing Spokane firefighters, which has contributed the maximum $2,000 to Beggs’ campaign. Dunau said he believed Beggs was avoiding the issue on the campaign trail, and noted that other City Council members hadn’t rushed to defend the initiative. “I think it’s an example of his desire to have a social activist agenda, and that plays to his progressive base,” Dunau said. Beggs said he’d been quoted in the media several times about his support for the initiative, and at a City Council meeting in July spoke publicly about his involvement in drafting the proposal, which he said was an example of working with his constituents. He acknowledged his colleagues on the council may have their concerns, but reiterated that the measure is about making the city safer. Beggs also questioned Dunau’s position on the coal and oil train initiative, noting that his opponent served as executive director of the Spokane River Forum, a nonprofit pushing the health and vitality of the waterway. “Outside of this campaign, I don’t think he’s excited about explosive oil trains or uncovered coal going into the river,” Beggs said. Dunau said he believed the measure is plainly unconstitutional and takes the focus of the city away from more pressing issues, like roads and police. That reasoning has figured prominently in advertisements asking voters to reject Proposition 2. City Council President Ben Stuckart, who’s endorsed Beggs, said the claim the panel was overreaching on larger legislative issues is a common attack from those who disagree ideologically with the council. Stuckart would not say this week if he’d be voting in support of Proposition 2. Rick Eichstaedt, the executive director of the Center for Justice, has endorsed Beggs, although he has concerns about the legal viability of the initiative. Eichstaedt, who said he knows and respects both candidates, said Beggs had a more proven record on social justice issues and engaging with different citizen groups in town. “I think Breean’s going to be a much stronger advocate,” Eichstaedt said. Beggs has outraised Dunau in the race by a nearly 2-1 margin, posting contributions of about $64,000 to Dunau’s $32,000. Beggs has received donations from Stuckart’s congressional campaign, Planned Parenthood and unions representing Washington teachers, city employees and health care professionals. Among his individual contributors is Don Barbieri, co-founder of the Barbieri-Smith Progressive Fund. 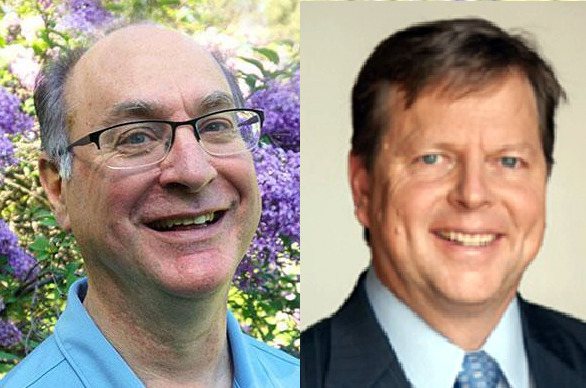 Dunau has received contributions from former Spokane City councilmen Mike Allen and Steve Salvatori. He’s also received the financial backing of the Spokane Home Builders Association. Published: Oct. 11, 2017, 6:30 a.m. Updated: Oct. 12, 2017, 11:22 a.m.